The How to Train your Dragon franchise made us fall in love with a quirky group of Vikings and their flying pets. Even though my oldest is hitting the outside edge of the film’s prime demographic, the writers, animators and producers have done a brilliant job of sucking us all in to life in Berk; getting us all to line up for the series finale (and laugh out loud as Toothless tries to woo the female Light Fury). This blockbuster animated film has been a box office success with worldwide ticket sales exceeding $435 million and counting. But beyond the entertainment triumph, How To Train Your Dragon 3 is also prime example of how leading companies from diverse industries can come together and collaborate on a project (the How To Train Your Dragon 3 VR Tour) that should serve as a model for innovative digital transformation projects. Who doesn’t dream of soaring among the clouds on the back of Toothless or Stormfly? 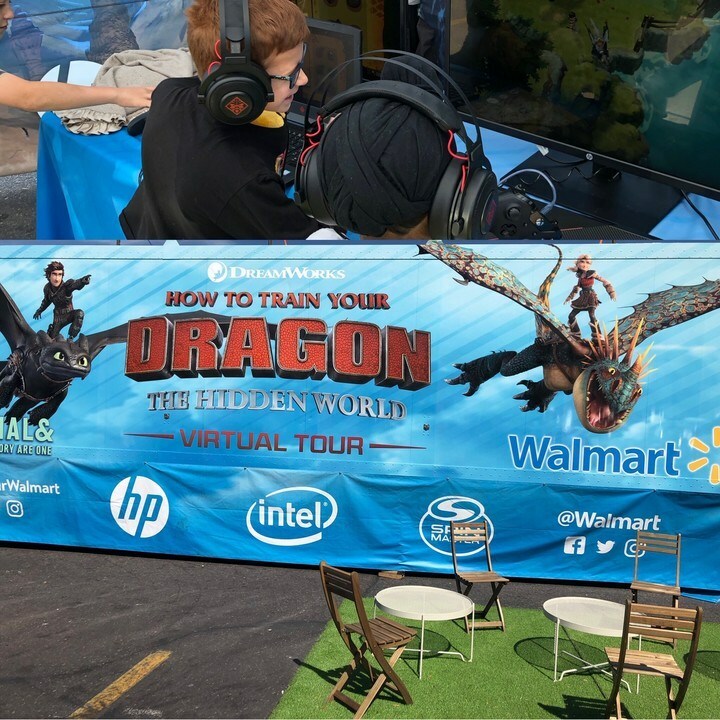 Walmart and DreamWorks Animation, with HP, Intel, and Positron’s technical prowess made it possible to experience dragon flight. In February, we launched an exclusive, first-of-its-kind immersive virtual commerce experience, tied to the theatrical release of How to Train Your Dragon 3: The Hidden World. From the minute you enter the onboarding room, you’re transported to Berk, greeted by Ruffnut and Tuffnut, and led into the dragon’s cave where you get suited up for a 5 minute-VR adventure with your favorite characters. It took a team effort to create this experience; best-in-class content, retail, hardware, and software to provide the secret sauce that makes the event so powerful (and could serve as a model for transformation efforts across industry sectors). Spoiler Alert: Stop reading now if you don’t want me to ruin the magic. It all starts with a retailer (Walmart) and movie studio (DreamWorks Animation) teaming up to create a new kind of retail event. Next, we needed to bring the experience to life, and that’s where HP, Intel, Positron and Spatial& come in to build an end to end solution. Servers and workstations featuring Intel® Xeon® Scalable processors, which are workload-optimized to accelerate intensive applications like the responsive, on-demand power Spatial& and DreamWorks needed to stitch together high-resolution images and 360-degree VR videos to create this immersive virtual experience. Next, we needed to outfit the participants with the right hardware to make the experience memorable. HP Windows Mixed Reality Headsets and OMEN by HP Mindframe Headsets, Positron’s VR Motion Chair, as well as PCs powered by Intel® Core™ processors let us create a seamless, immersive, multisensory event. But that’s not all the technology at play for this event – parents can watch their kids as they take their first dragon flight on HP Chromebooks, while entertainment streams for those waiting in line -- even passersby can watch promotional entertainment streamed on Omen by HP Gaming Laptops, which are also powered by Intel technology. You might be riding on a dragon in a rustic Viking village but the modern, innovative technology behind the scenes makes the experience so real, you’re drawn right in. As I said at the beginning this is a great example of digital transformation done right. Digital transformation isn’t easy. In fact 20% of executives secretly feel digital transformation is a waste of time. Honestly, I worry about the future for these companies. The key to success is working with companies who have the expertise and knowledge you need, much like the model deployed for the How to Train Your Dragon 3 VR Tour. It’s a great example of “co-opetition” or a unique approach to teamwork that brings together best-in-class companies and technology to execute on a vision. In this case, that vision was creating a new kind of retail experience that combines entertainment, retail, and technology. The idea of teaming up to succeed in digital transformation is one we should all start to embrace. At a time when brick and mortar retailers are struggling to maintain market share in an increasingly online world, the success of the How to Train Your Dragon 3 VR Tour has a winning recipe – immersive experiences that bring people out to the store, tied to exclusive instore retail merchandising (and very likely sales long after the tour has ended because you’ve created a bond with the movie and its characters). If you’re a parent, you know you won’t get out of the gift shop without pulling out your credit card or pressing the payment app on your smartphone. When we get right down to it, retailers need to find creative ways to boost your share of wallet, drawing shoppers to your brand and your locations. Several retail and apparel companies are already out in front. When Nike launched its Manhattan flagship store in November, it was billed as “the forefront of Nike's headlong charge into a digital transformation”, and luxury brand Rebecca Minkoff installed smart mirror in changing rooms so we can order up a different size without walking through the store half dressed (not that anyone has ever done that) or even get style suggestions based on what we’re trying on. Retailers are keenly aware of competition and are looking for ways to build preference and loyalty by catering experiences to their clientele. While online is an important consumer channel, brick and mortar stores aren’t going away any time soon. In fact, PwC found an increase in shoppers saying they visit a physical store going up from 40% in 2015 to 44% last year. Retailers need to keep captivating shoppers, but they don’t need to do it alone. The How to Train Your Dragon VR experience is a great example of collaboration that captivates an audience … after all, who doesn’t want to visit Berk and fly through the sky on a friendly dragon? I do. 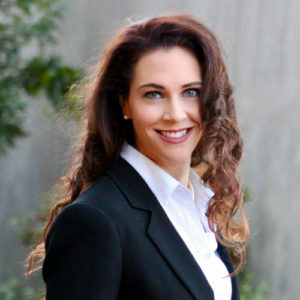 Rachel Mushahwar, VP/GM of US Enterprise and Government, leads 9 different industry verticals in the US (Cloud, Retail, Transportation, Manufacturing, Energy, Financial Services, Government/SLED, Media/Entertainment, and Health Life Sciences) and is accountable for ~$4B in sales. Her focus is on enabling companies to realize the value of innovative offerings and delivering end-to-end innovative solutions to the industry that solve real-world business problems. She was recently named as “US Business Woman of the Year” by Insight Success and named by ChainStoreAge as one of the “Top Ten Women in Technology” in January 2017 and Women’s Wear Daily listed her among the “Top Industry Transformers” in December 2016. She has been on Wall Street Journal Live, and most recently NBC Press Here talking about how industries need to transform to compete.